Kaki lima...what does it mean? 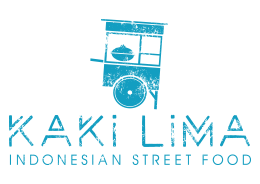 'Kaki Lima' are the mobile food carts found on every street corner in Indonesia. Kaki Lima's literal translation is 'five legs' -- three on the cart, plus two on the vendor. Each Kaki Lima has its speciality dish, and people will often travel for miles for their favourite.